Some parents may not understand the need for their child to attend preschool. When your child attends preschool near Pembroke Pines, however, she has that extra year or two of academic education to help her prepare for kindergarten . Here are a few of the ways that preschool will help your child succeed. Preschool is still a form of day care, but with an educational element. You know that your child is being well cared for, yet she is doing more than playing around with a babysitter. In preschool, your child will engage in fun activities that teach her about her world and academic subjects. 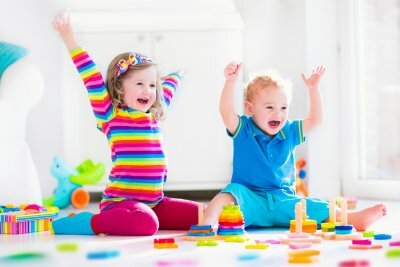 In many day cares, which accept babies to elementary-age children, your child may only play on the playground, color, or make crafts, but may gain little education. 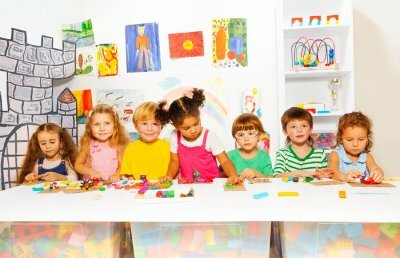 Early learning centers have classes created for specific age groups. This separation allows children to learn and play with other children around their own age. This will increase their socialization skills, and it will help them gain friends that could potentially follow them throughout their academic life. Also, when children interact with others their own age, they can pick up on appropriate social cues, rules, and habits they may not pick up if they are around children of multiple ages. When children reach preschool age, they are usually very curious about the world around them, how it functions, and fun ways to engage with it. Preschool teachers are trained in early childhood education and know the fun ways to answer your child’s questions. These dedicated teachers are experts in giving your child the tools she needs to learn basic academic subjects, like math and reading, as well as more complex concepts, such as critical thinking, art, and science. Preschool teachers can help your child learn all of these concepts in a fun and appealing manner that will have her coming home bursting to tell you everything she learned. Preschool is an important element in kids’ learning near Pembroke Pines . It encourages socialization, fine motor skills, and the basics of academic education needed for children to succeed later in life. As you can see in this short video, when children attend preschool, they have more opportunities for interaction with other children, as well as tools that they may not experience at home. Structured early childhood development helps children to learn more about the world around them from their peers and their teachers. This time, dedicated to an engaging kind of learning, is essential to children as they continue through life and school. Picking out the right preschool near Pembroke Pines shouldn’t be stressful. There are a few ways to pick the best preschool for your child. In the end, though, if you and your child feel it is the school for your family, you’ve probably picked the right one. When you walk into a preschool classroom and see children having fun and learning at the same time, you’ve found a great school. Young children shouldn’t be wandering around aimlessly or running amuck; they also shouldn’t be glued to a chair, bored out of their minds. Teachers should be focused on fun learning activities, crafts, and educational games to keep children’s minds engaged. No one learns at the same pace, and learning centers should recognize that. The curriculum should be adaptable to each child or group of children, whether they are progressing above or behind the rest of the class. A good teacher will have the resources necessary to help each child progress at their own pace. Many classrooms have become overcrowded, and that is not what you want to see in your preschool. There should be enough teachers and aides to give each child, or a small group of children, dedicated attention. This may in the form of reading a book or individual tutoring as children need it. The class should still come together as a whole to learn new concepts and rules, but there should be adults available for every child to receive extra attention. Most parents begin looking for a preschool several months to a year before their child’s start date. If you have young kids, you’ve probably been keeping your eyes open for preschools near Pembroke Pines. The next step is to interview the staff and teachers at the preschools that you are considering. Keep reading for a few suggested questions to ask during your visit to each preschool. What Is the Student-to-Teacher Ratio? 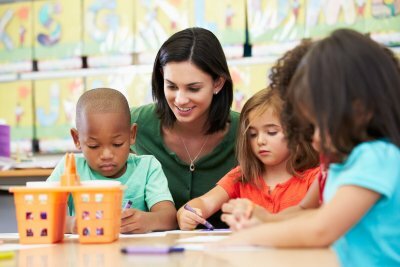 A low student-to-teacher ratio is important in any academic setting, but especially important in preschool. The size of your child’s class will affect how much attention he or she receives when learning new concepts. It also affects how much supervision he or she will get at the facility. Moreover, a smaller group will help to ensure that your child is fully integrated into the experience. This will aid in development of important social skills. It is important for kids to be exposed to a well-rounded curriculum during early childhood. Look for a preschool that offers fun activities that enable children to learn while having fun. Kids who learn the basics in a discovery-based curriculum tend to pick up new academic concepts quickly and better retain information. At the same time, they learn social skills such as how to function as a member of a group and how to talk to new friends. Does the School Have A Trusted Reputation? The first day of preschool can be more difficult for the parent than for the child. If you are like most parents, you will worry about your child from the moment you drop him or her off in the morning until the moment he or she is back in your care. While it is natural to have separation anxiety, knowing that your child is in safe and competent hands will ease your mind. Ask how long potential preschools have been in operation. Don’t hesitate to ask other parents who you meet at the preschool for their opinions on the strengths and weaknesses of the school.